Asbestos is now considered a dangerous building material, but back in the 20th century, the material was common in homes across Canada. 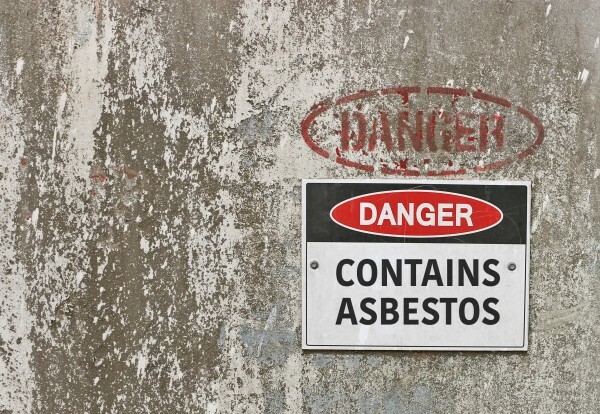 In this article, we are going to look at some ways you can tell if you are dealing with asbestos tiles, and what you can do in case you discover asbestos in your home. As asbestos was a popular building material here in Canada, the age of your home will determine the risk you have asbestos within your walls. Generally, it is accepted that if a house was built between 1920 and 1960, your home is at risk for having asbestos. This is especially true if your home still has its traditional finishes and materials. One of the tell-tale signs of asbestos within your home is discolouration of tiles. The tiles will start to look oily, discoloured or even grimy. Discolouration related to the natural oil is the most common issue when it comes to asbestos and will ensure your tiles start to look grey, or even an off white. If your home is at risk of asbestos, one of the easiest ways to determine if asbestos was used is if the tiles are one of three sizes asbestos titles were produced in. Asbestos titles came in 9-inch squares, 12-inch squares and 18-inch squares, and although there were small runs in other sizes and shapes, this information can help you determine if you are at risk. Asbestos tiles often have a black backing on the tiles to act as an adhesive. Unlike other tiles of the era that use a variety of putties and tapes, asbestos tiles came with their adhesive to secure them to the floor. If you are dealing with or discover a loose tile, and notice a black backing, you need to secure the tile and do not disturb it. Next, you need to call the team at Urban Environmental to secure the area and ensure that asbestos is not released into the air. If you have discovered asbestos in the home, you should immediately call Urban Environmental. We are the leaders in Vancouver for asbestos abatement, and no matter if you are dealing with a small issue, or an entire home full of asbestos, we will be able to assist you in getting your home back.